Performance Evaluation is a hands–on text for practitioners, researchers, educators, and students in how to use scientifically–based evaluations that are both rigorous and flexible. 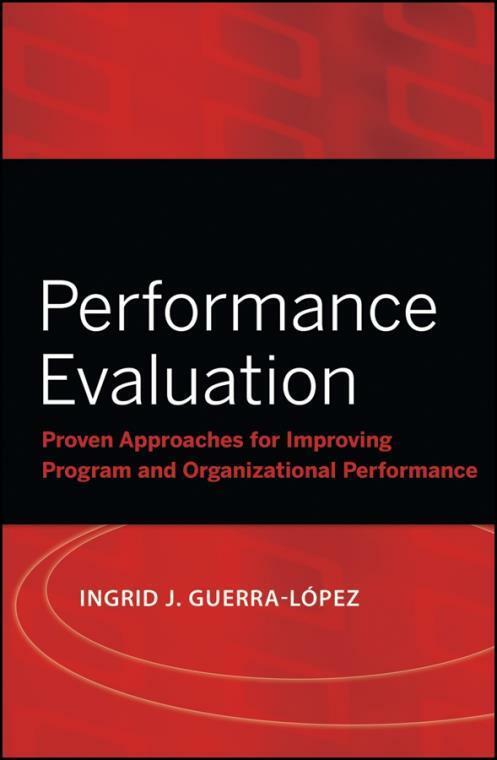 Author Ingrid Guerra–López, an internationally–known evaluation expert, introduces the foundations of evaluation and presents the most applicable models for the performance improvement field. Her book offers a wide variety of tools and techniques that have proven successful and is organized to illustrate evaluation in the context of continual performance improvement. Guerra–López′s book bridges the gap between theory and practice. It illustrates the various models in accessible terms, explores the research evidence behind each, explains how each model looks in practice, and shows how each approach can be tailored for specific evaluations. The Evaluator: A job or a role? Which model should you select? Can we trust Evaluation Findings?